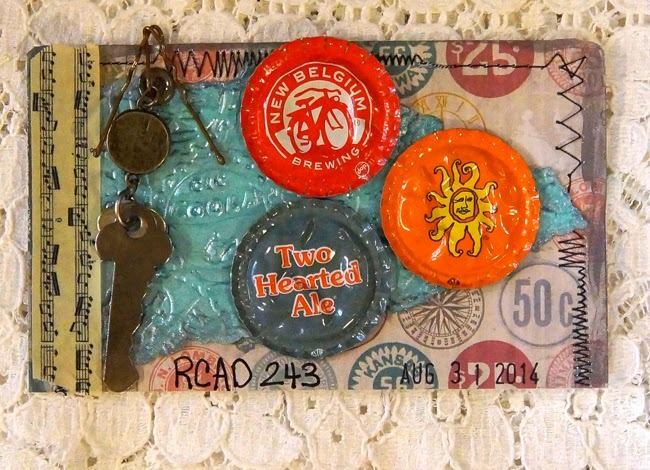 Today I used things that were on my desk and some beer bottle caps that has art on them that I find interesting. I flatten them with a pliers and my die cut machine. Here is the process video telling all the details.